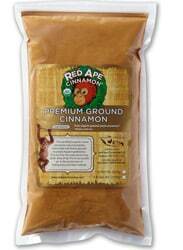 Red Ape Cinnamon trees grow for 15 years on the tropical island of Sumatra. When the tree is harvested, new shoots grow and the sustainable forest lives on. The cinnamon is sun-dried and then slowly ground which creates a lush, oily and delicious product. This is the real deal Cassia cinnamon. 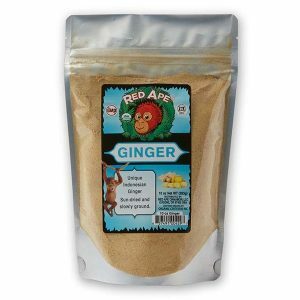 • Certified organic, kosher and non-gmo. This is the reason that high-end pastry chefs, bakers and artisan ice-cream makers prefer our cinnamon. It really does make a difference. 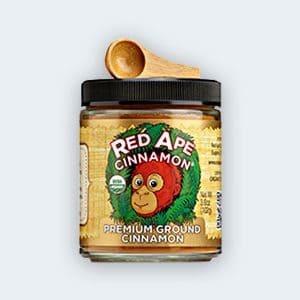 It is not the cheapest cinnamon but is by far the best. 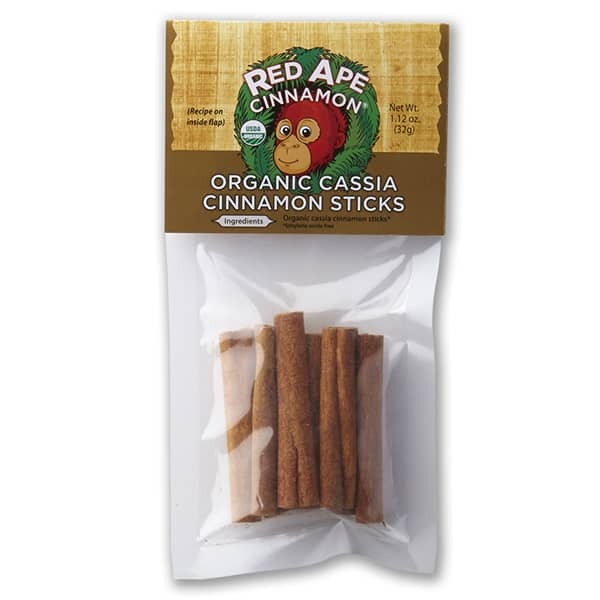 You will quickly notice the difference in taste with our fragrant, sweet, organic cinnamon. This robust Korintje cinnamon from Sumatra is ideal for baking and will enliven the flavours of desserts, cookies and cinnamon rolls.